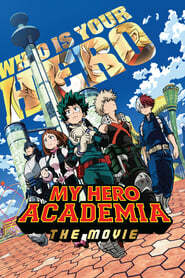 Storyline:- All Might and Deku accept an invitation to visit a floating man-made city called I Island where they meet a girl and battle against a villain who takes the island hostage. Storyline:- In a politically divided America, a man struggles to make it through the Thanksgiving holiday without destroying his family. Storyline:- A pair of C.I.A. operatives wage an epic battle against one another when they discover they are dating the same woman. Storyline:- A group of friends venture deep into the streets of New York on a rescue mission during a rampaging monster attack. Storyline:- An assassin teams up with a woman to help her find her father and uncover the mysteries of her ancestry. Storyline:- A man heading towards Rameshwaram via Chennai express to immerse his late grandfather’s ashes unwillingly gets caught amidst goons after helping their boss’s daughter and them board the train. Storyline:- An ex-convict (Tyrese) gets tangled up with a gang after his car is hijacked with his son inside.